A barrel-aged gin with whisky-like toffee and caramel characters is being launched by the Barossa Distilling Company – and it’s already exciting tastebuds at the distillery’s cellar door, says managing director Neil Bullock. The limited-edition gin has spent seven months in tawny port barrels and is Barossa Distilling’s third gin following the release of the Generations Gin in 2016 and its Budburst pink gin later that year. The barrels originally held Barossa red wine and then spent eight years ageing Tawny Port before being cut down to 100 litres at a local cooper, oak charred to a crocodile char and filled with Generations Gin. The same style barrels were also sourced to make the company’s first whisky, which is still at least 12 months away from release. MD Neil Bullock says the gin is barrel-aged in the same way as whisky is traditionally matured. 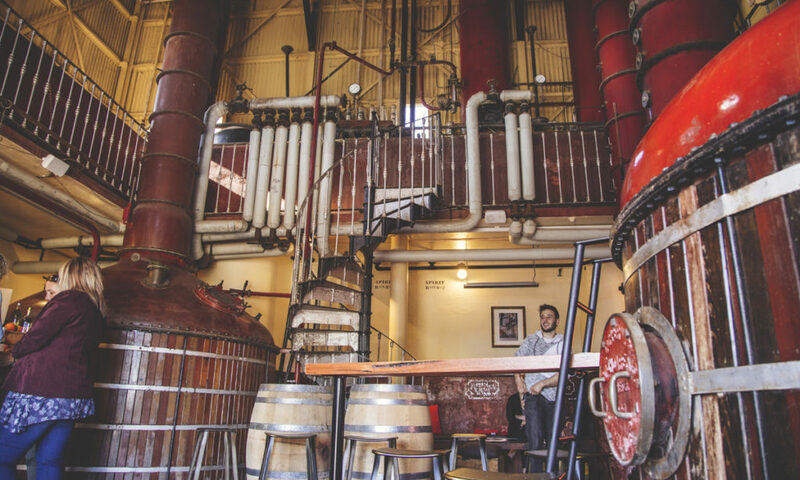 “Back in the old days they would store the gin in an oak barrel in a ship’s ballast and effectively by the time it got to its destination it would have been barrel aged, depending on how far the journey was,” he says. “It’s confusing to the palate in a way because it’s got a little bit of a whisky characteristic – it’s very much a gin but it sits somewhere between the two in terms of the flavour profile it’s delivering, and you get those toffee and honey characteristics that you would find in a Speyside-style sherry or port-cask-finished whisky. The 40 per cent abv Barrel-Aged Gin is $125 for a 700ml bottle and is available through the Barossa Distilling Company website or at its cellar door in the Old Penfolds Distillery building in Nuriootpa. “I took a bottle out a few weeks ago and we’ve been doing tastings of it over the bar here and 100 per cent of the feedback has been, ‘Wow, that’s incredible’, so we’re quite excited to get it out,” Bullock says. “Almost without exception people have put their names down on the list to get their hands on a bottle, so the response has been very good and we’re expecting they are going to go quickly. Gin is the star attractions at “The Distillery”, the tasting room and craft spirits bar the company opened permanently in the iconic distillery in August. 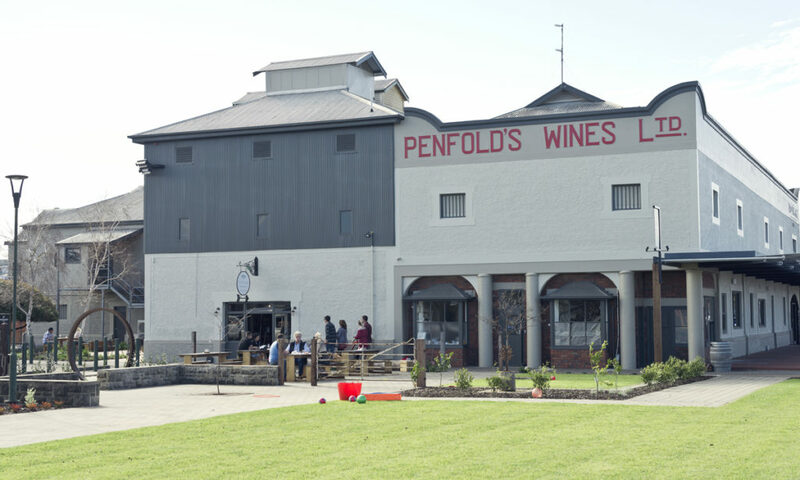 The original Penfolds distillery was built in 1913 and for almost a century produced brandy and fortified wines. Bullock says the unique rooms – featuring old stills, 10m-high ceilings and an original cast-iron spiral staircase – provide the ideal setting for people wanting an alternative to wine. “Once people have done their wine tasting they’re very keen for a bit of a palate cleanser and something a little bit different. They can walk in here and try our spirits or simply sit down to enjoy a cocktail or a gin and tonic,” he says. “People walk in through the doors and they stop about a metre inside the building and say, ‘Oh wow’, because it is a magnificent space. The Distillery is open seven days, 11am-5pm Sunday to Thursday and 11am-8pm Friday and Saturday. It also serves local beers, artisan Barossa wines, tasting platters and a range of other local and imported spirits.